440 p., 17,5 x 23,9 cm. With contributions by Jordan J. Ballor, Luca Baschera, Birgit Biehler, Anne Eusterschulte, Günter Frank, Joseph Freedman, Aza Goudriaan, Paul Helm, Nathan Jacobs, Henri A. Krop, Frank van der Pol, Jan Rohls, Sascha Salatowsky, Herman J. Selderhuis and David Sytsma. Johannes Calvin’s 500th birthday was in 2009. 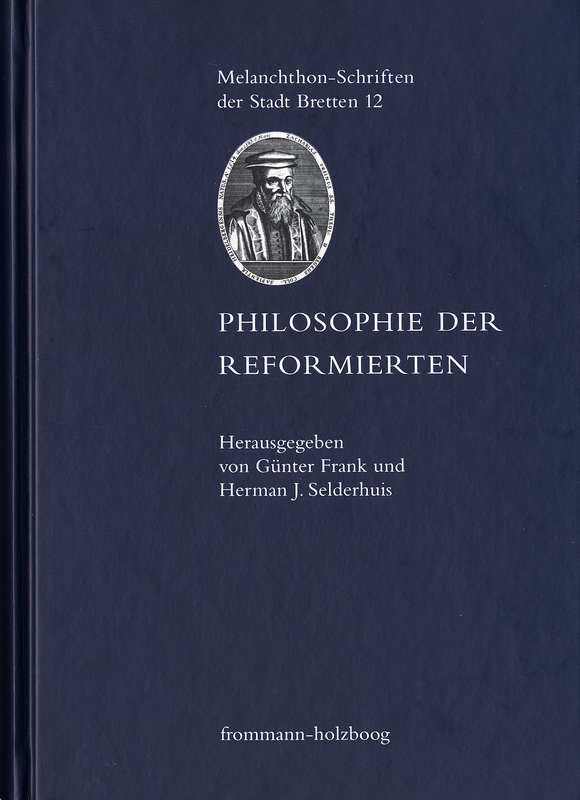 In spite of all the detailed theological research done on Calvin’s works, it was not until recently that it focused on the subject of »philosophy in the Reformed tradition.« The articles in this edited volume pursue these new approaches and question whether and how the Reformed churches adopted and transformed the tradition of philosophy. This question pertaining to philosophy is pursued in its various disciplines such as practical philosophy, logic and dialectics, anthropology, natural philosophy amd metaphysics. In doing so, in addition to European Calvinism the studies also include the other reform movement in connection with Huldrich Zwingli and thus deal with the full scope of the Reformed church.